During the summer we would like to put our staff members in the spotlight to give you an insight in who we are and what we are doing behind the scenes. Since we are all working in a cultural organisation, looking to engage people with the arts, I decided to ask some creative questions too. Enjoy getting to know Els Borghart, who is doing a trainee ship in Droichead, a little bit better. As a trainee, I am working in the marketing department. I am responsible for the blog, I take on research projects and I assist with putting together funding applications. The contact I have with a wide range of creative and inspirational people. Together with all the staff we are continuously looking for new and creative ways to engage the audience. Interviewing Jacqui McIntosh, the curator of the exhibition ‘The Marienbad Palace’. What was the best event in Droichead Arts Centre you have ever attended? The exhibitions ‘Beyond a point’ by Vivienne Byrne and ‘The Marienbad Palace’. The outdoor events are a fantastic initiative; I am especially looking forward to ‘Pride & Prejudice’. Hopefully we will get great weather on the days of the events. It’s a creative, inspiring way of looking at life and making sense of it all. 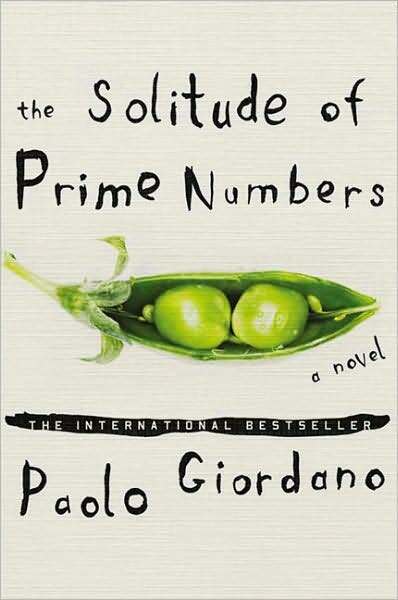 The solitude of Prime Numbers – by Paulo Giordano. What is your vision of art and culture for the future? I believe the recession has a positive impact on art, culture and our collective creative brain. It’s the perfect time for creativity to blossom through developing inventive ways of thinking in everything we do. I hope to see a growing interest with the audience as a result. Red, because it’s a vibrant, warm colour and it symbolizes energy. This entry was posted on July 5, 2010 at 10:00 am and is filed under Comings ang goings of Droichead. You can follow any responses to this entry through the RSS 2.0 feed. You can leave a response, or trackback from your own site.